On the campaign trail in Telangana, KT Rama Rao used a cricketing analogy while speaking to NDTV. He was confident that like Virat Kohli, his father and chief minister K Chandrasekhar Rao or KCR "would hit a century in the Telangana test". KCR may lead his party to just short of the three-figure mark but it does not take away from the clinical decimation of the opposition - the Congress-led People's Front which included Chandrababu Naidu's TDP. Most exit polls had predicted a victory for KCR's party, the TRS, but the scale has surprised even party insiders. On the ground, one got the sense that there was no anti-incumbency against KCR with most people happy with his targeted freebie schemes. The problem for the Chief Minister could arise, it seemed, from any dissatisfaction with his legislators, given that he had re-nominated most of them. 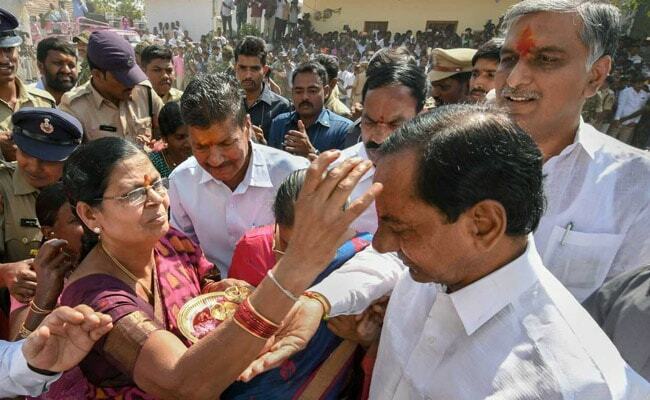 1.KCR's welfare schemes: From fisherfolk to barbers, farmers to washermen, from industrialists to slum dwellers, KCR had something for everyone. He introduced pensions, drinking water connections, 24X7 power, council flats or two-bedroom homes, free eye-checkups, the much-adored Kalyana Lakshmi /Shaadi Mubarak scheme that provided Rs 1 lakh for a daughter's marriage. And voters saw the election as payback time. The few groups who got no dole at all also voted for TRS, hoping they will luck out this time around. The elite may have dismissed this as populism a la Jayalalithaa, but the fact remains that KCR provided a government that showed it cared. By announcing 90 per cent of his party candidates the day he dissolved the Telangana assembly, KCR displayed confidence. 2.A decisive vote for KCR and family: Unlike the opposition which depended on star campaigners from outside Telangana including film stars-turned-politicians, the TRS' blue-chip speakers were KCR, son KTR, daughter K Kavitha and nephew Harish Rao. The mandate has decisively trumped any criticism of the family raj in Telangana. With a centralised approach, the campaign narrative was also more focused. 3.The opposition's negative politics: The strategy employed by the People's Front was erroneous. Instead of explaining how its governance would differ from that of the TRS, it focused on KCR, piling on the allegations against his family. The verdict is proof that negative politics does not work unless backed by an effective alternate template. 4. 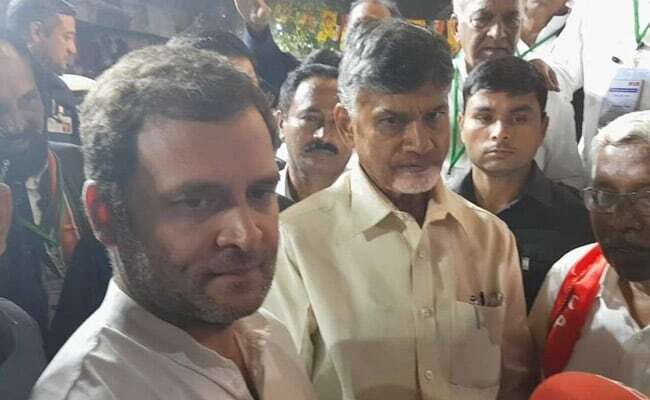 The alliance with Chandrababu Naidu: The vote can be interpreted as an expression of Telangana's anger against the Congress alliance with the TDP. Naidu was seen as having tried his hardest to obstruct the formation of Telangana as the country's youngest state in 2013-14. 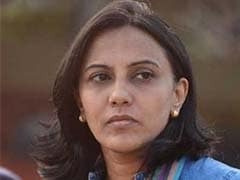 The TRS found in him a villain, and turned the campaign into a KCR vs Naidu plot. KCR in effect then asked people to choose between the man who led the movement for the state of Telangana and the man who tried to thwart it. Also labelling Naidu as an Andhra man trying to enter a neighbouring state by proxy (via the Congress) helped the TRS grab more votes. The vote in Telangana can be interpreted as an expression of anger against the Congress alliance with TDP. 5. The Andhra vote: The assumption was that the TDP would bring the votes of Andhra settlers (14 per cent of Telangana's population) to the People's Alliance. Which is why all the seats allotted to the TDP in the alliance were in Hyderabad and Khammam. But what the Congress did not factor in was that not every Andhra settler in Telangana is from coastal Andhra or from Naidu's Kamma community. The Reddys from Rayalaseema who are more loyal to Jaganmohan Reddy and the Kapus who favour actor-politician Pawan Kalyan ended up voting for the TRS. In effect, their opposition to Naidu in Andhra proved costly for the Congress in Telangana. 6. The laggards in the alliance: The CPI and the Telangana Jana Samiti proved to be deadweight. Much before the first vote was cast, it was obvious that the seats allotted to both these parties were being given on a platter to the TRS. To make matters worse for the alliance, these two parties bargained hard trying to punch above their weight and delayed the seat-sharing process, which meant campaigning was held up. 7. Too many aspirants for Chief Minister: When I asked the Congress state chief Uttam Kumar Reddy if his party had 31 chief ministerial aspirants, one from every district, he dismissed it as a media propaganda. But on the ground, it was visible that each was protecting his own turf, hoping to get the top job if the alliance made it. The fact that most of the big players bit the dust is proof that the state's voters want the party to bring in fresh blood instead of peddling the same leaders. The Congress will also need to recast itself as a party with more people willing to work the streets than leaders sitting in Gandhi Bhavan, its party headquarters in Hyderabad. 8. Better communicators: KCR and his family members are the best in the business when it comes to communicating, especially in Telangana lingo. In contrast, the opposition suffered from lack of quality orators barring Revanth Reddy who was smartly confined to his Kodangal constituency by the TRS which pinned him down with an aggressive campaign there. Rahul Gandhi talking about Narendra Modi and Rafale in Telangana constituencies when the BJP is not even a player in the state showed the Congress got its communication strategy completely wrong. KCR's schemes for farmers and his focus on development also paid off for him in Telangana. 9. Balancing the MIM and BJP: One of the reasons for KCR dissolving the assembly eight months ahead of schedule forcing an early election was that he wanted the focus on himself rather than having to compete with Narendra Modi and Rahul Gandhi in a full-throttle mission for 2019. By attacking Modi, KCR tried to assuage those Muslim voters who assume he has a clandestine arrangement with the BJP. His friendship with Asaduddin Owaisi, the chief of the MIM, meant he was seen as a pro-Muslim leader. A preliminary look at the verdict shows the minority vote would have landed largely for the TRS. 10. The early start: By announcing 90 per cent of his party candidates on September 6, the day he dissolved the Telangana assembly, KCR displayed confidence. The TRS leadership jumped into campaigning, unlike the opposition that tied itself up in knots over seat-sharing till the third week of November.